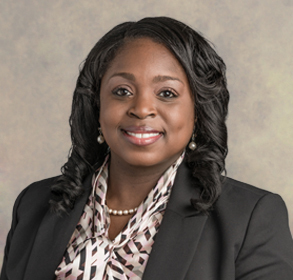 Shekita Rawls, CPA is a manager at ABIP, P.C. and is versed in attestation services. She brings over 13 years of public accounting experience to the firm, previously working with a large international firm. Shekita works closely with privately held companies, not-for-profit organizations, state and local governments , metal trading, financial institutions, educational entities, and employee benefit plans. She provides entities with audited and reviewed financial reports, compiled financial statements, employee benefit plan audits. Utilizing her unique blend of assurance and accounting, Shekita assists organizations with refining profitability, managing risk and narrowing the gap. Ms. Rawls graduated from the University of North Texas and holds both a Master and Bachelor of Control Systems. Shekita is an active member of the American Institute of Certified Public Accountants (AICPA) and the Texas Society of Certified Public Accountants (TSCPA).